The Lithuanian districts of Rokiskis, Panevezys and Silute have declared an emergency situation after downpours flooded farm fields. "More than half the monthly rainfall for September fell on Monday. Fields are drowned and farmers are in distress. Some 57 millimeters fell on Monday, compared with the normal rainfall rate of 86 mm for the month," Sigitas Seputis, director of the administration of the western district of Silute, told BNS on Thursday. According to the official, the emergency situation will give farmers who receive EU funding an official justification for their failure to meet their obligations and will prevent them from losing their payments. This will also make it easier for them to deal with insurers. 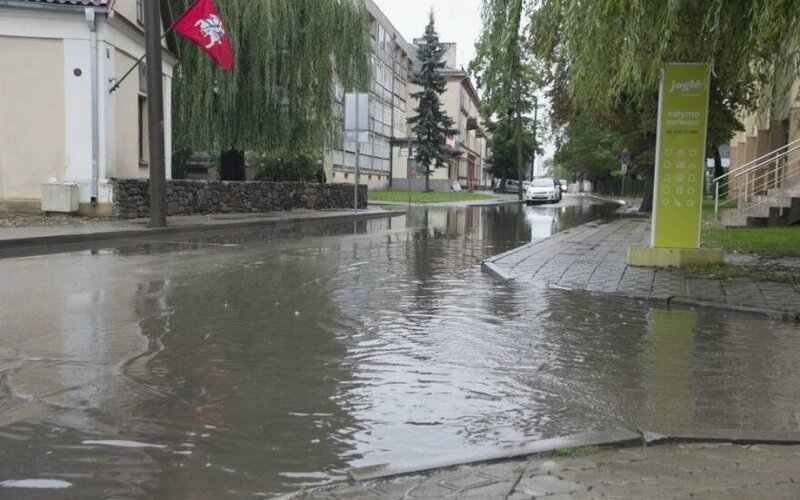 Panevezys District Mayor Povilas Zagunis said that 50 mm of rain had fallen in the northern district within 24 hours at the start of the week, very close to the normal monthly rate of 53 mm, bringing the total amount of rainfall since the start of September to 150 mm. According to him, Panevezys farmers face the same problems as their counterparts in other municipalities: their farm fields are too wet to harvest and prepare the land for the next season. Rokiskis District Mayor Antanas Vagonis told BNS earlier that flooded fields might cause some minor farmers to leave their crops unharvested, adding that the neighboring northeastern municipalities of Zarasai, Ignalina and Kupiskis were faced with similar problems.